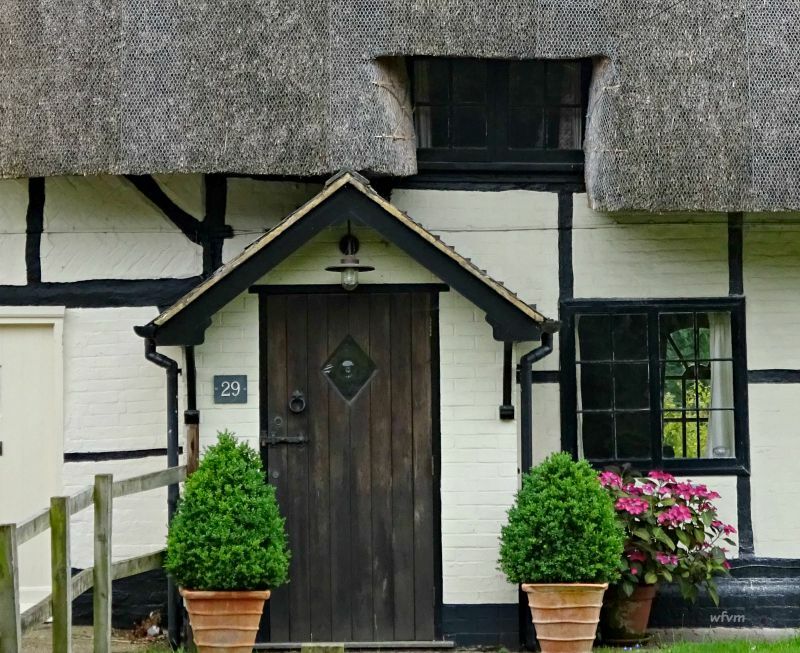 Three years ago I published a post showing English thatched country cottages which for some reason sits resolutely at the top of my "Popular Posts". It has received over 2000 hits. A further post entitled 'The Ambassadors' by Hans Holbein has received the most visits numbering over 9000. 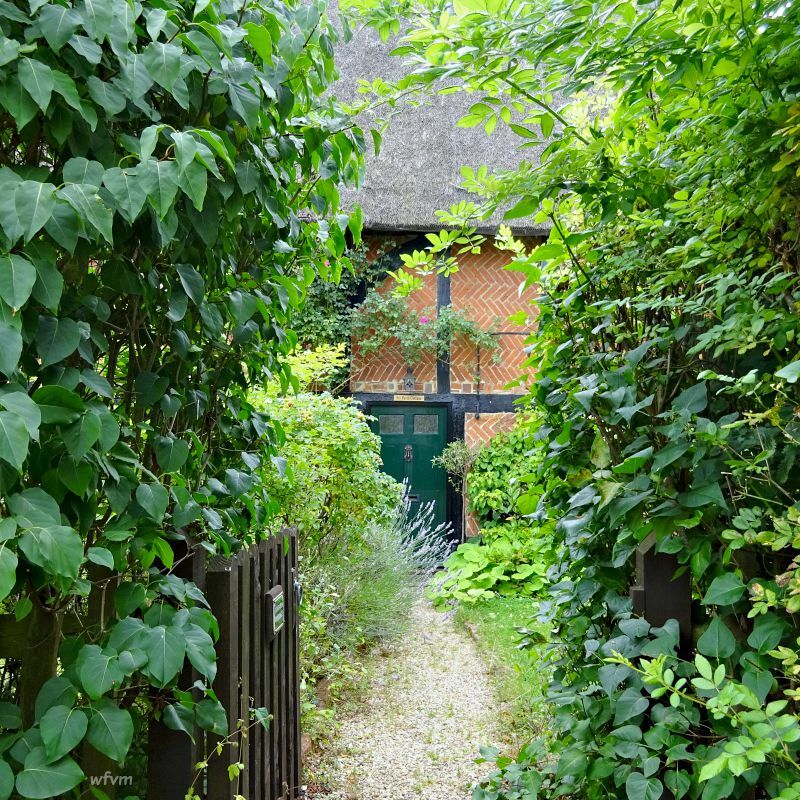 Delightful - my parents had a thatched cottage for a while at West Chiltington. Unfortunately, they heard that their offer had been accepted on the day before I flew back to New Zealand and by the time I returned they had moved again so I never got to go inside. They are surprisingly much bigger inside than they look and today they now have modern conveniences. There has even been a revival of them amongst new builds. Beautiful! I visited old Amersham? (or Amersmith?) once. There where lovely, old buildings as well. I love those old cottages. Happy weekend, Rosemary! Dear Satu - that would be old Amersham which also happens to be in Buckinghamshire too. 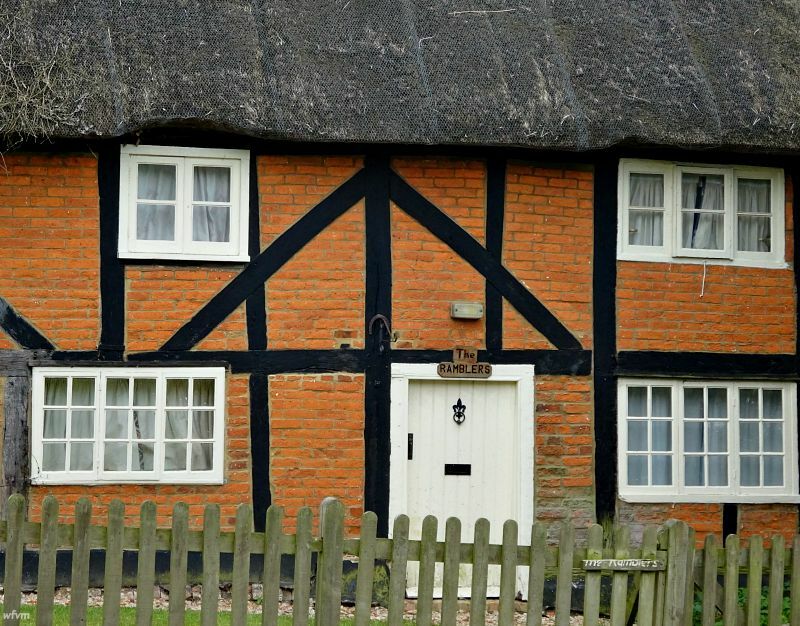 These old thatched cottages are all over the country but some counties have more than others. I like the thatched roofs, we have them here too in the country. Only dangerous with thunder and lightning weather, some of them have got a fire and lost their whole farm. 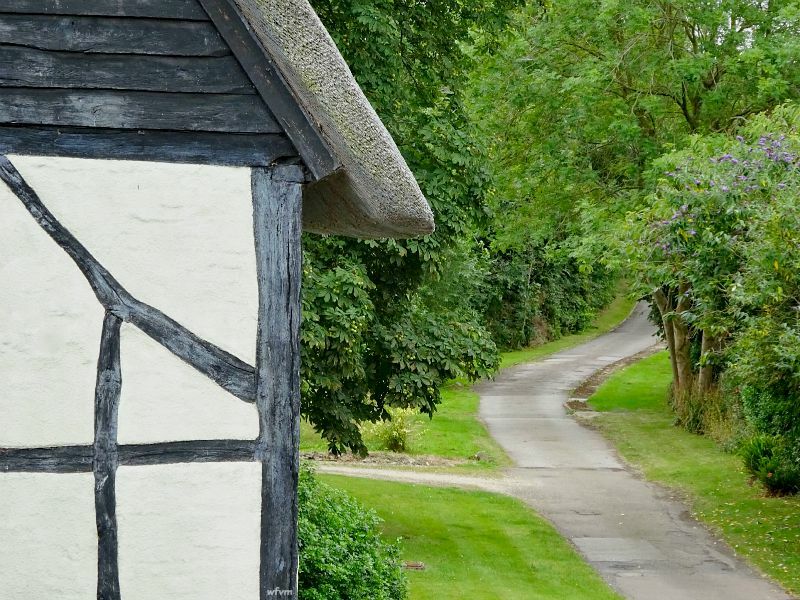 I would be happy to live in a thatched building as long as it was newly done - a good thatch should last for at least 40/50 years before it needs to be renewed. Looks very impressive, I wonder how comfortable the inside is. Must be old. 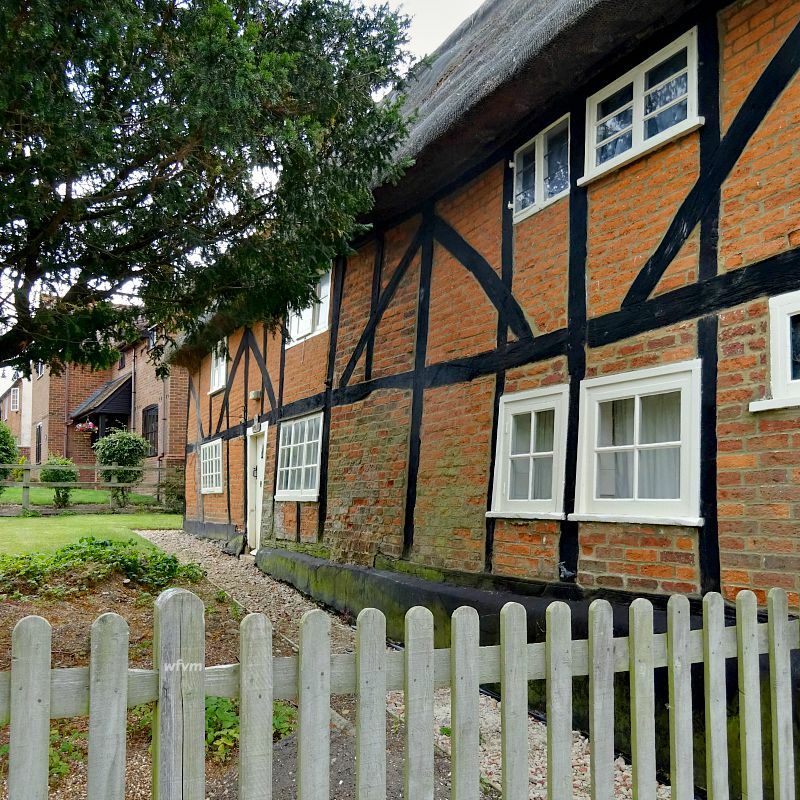 Most of these cottages will be either 400/500 years old. They are lovely inside with beamed ceilings and large inglenook fireplaces. 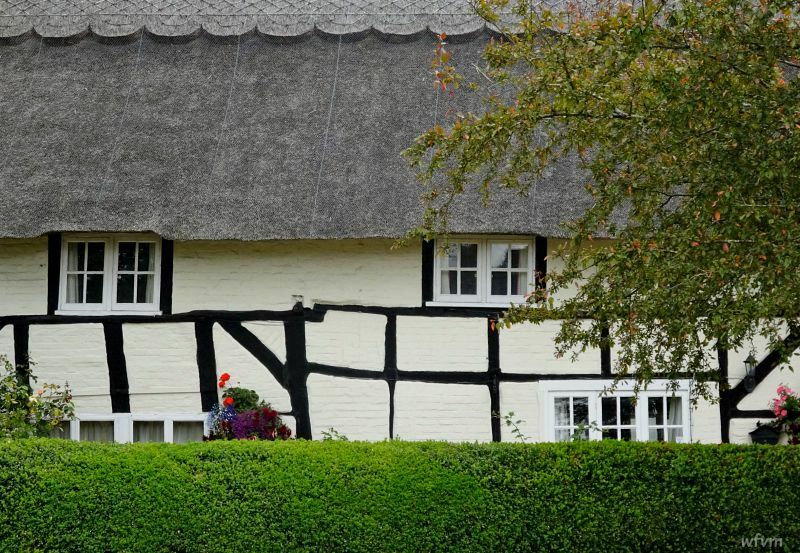 I love the thatched cottages of your country and took so many photos of them when we were there. Good idea they have all chicken wire over the thatch. We have thatched roofs, although not so many as in your country, but here I never see the chicken wire. For instance our neighbours have a thatched roof and the craws are picking the reeds out of it to use for nests, I wonder how long it takes before it's leaking. Not all thatched roofs here are wire netted - those made of long straw are always netted, whereas those made from water reed are not. I suspect that once a gap appears then the birds would have a fine old time with the thatch, but really it should be compacted so tightly that birds should not be able to remove it. A lovely selection of photos indeed. Those houses must be very old, but I'm sure yet still comfortable. Greetings! Rosemary, just wonderful the 'hits' you have had regarding the thatched roof, amazing. Those houses with their thatched roofs look very English. Photos are lovely and clear, well done. Ah, I am sucker for thatched cottages ... just like the rest of us, it would seem! Thank you for your visit and comment Jane - you must be right, that post will not move from the top spot, maybe this post will make an attempt to usurp it. 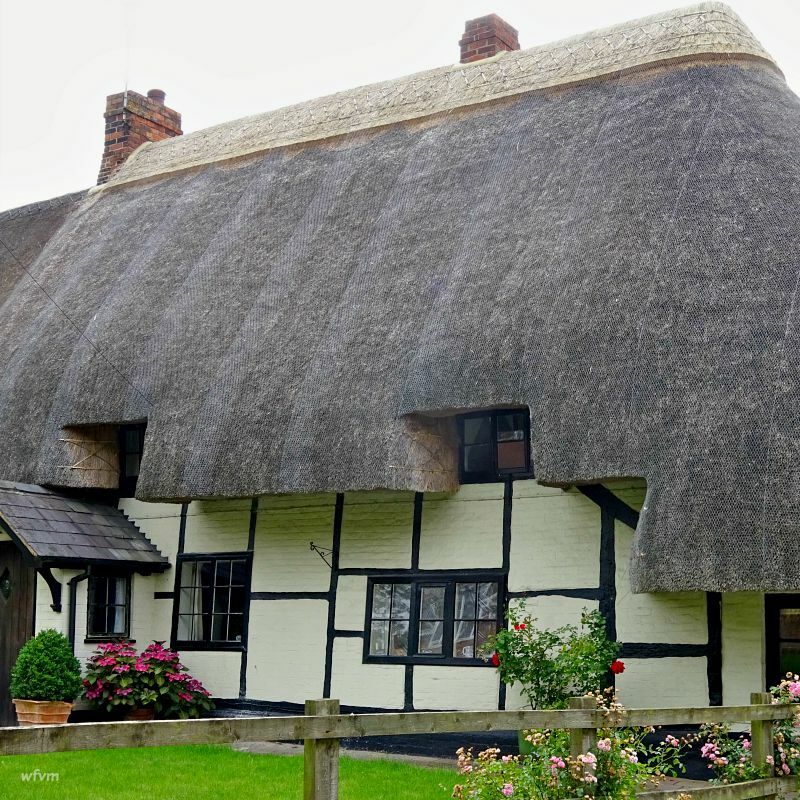 Dear Rosemary, So glad you are sharing a few more pictures of Thatched Roof cottages. They look so cozy and warm. So many of the roofs look so well maintained. It must be that they are constantly being repaired and kept up. I am so pleased to see that this art form is alive and well. As always, your photographs are beautiful. I love the inclusion of flowers in each scene. Dear Gina - if the roof has been done correctly by a proper thatcher then it requires no attention and should last 30\40 or even 50 years depending on the straw or reed used. They touch your heart somehow! Wonderful, thank you, Rosemary! I remember seeing in Sussex( or Kent?) houses with figures on the roof - completely cut out of reet. Dear Britta - roof toppings or finials are often a thatching skill and craft that runs in families who are known for their own distinctive ornaments. It also depends on the house owner too as to whether they want a finial or not. Birds are particularly popular i.e pheasants, ducks, and animals foxes, cats etc. 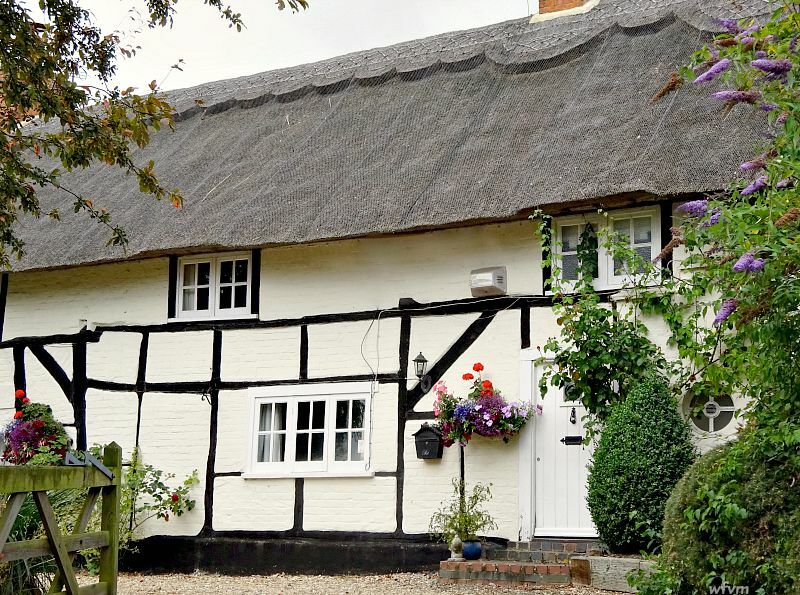 Over recent years there has been a big revival in the thatched cottage Yvette. Years ago many had their thatch removed but most have now had the thatch reinstated. Thatched cottages hundreds of years ago were for farm and manual workers, but now they are very desirable. I wonder if this one will eventually knock the other off the top spot? Such a beautiful village with so many well kept thatched cottages. I love the warmth they exude. As you probably know our first home was a thatched cottage in the west of Ireland by the ocean.. My heart always skips a beat when I see a thatched roof. Hello Helen - I do remember the photo of your thatched roofed home in the west of Ireland. 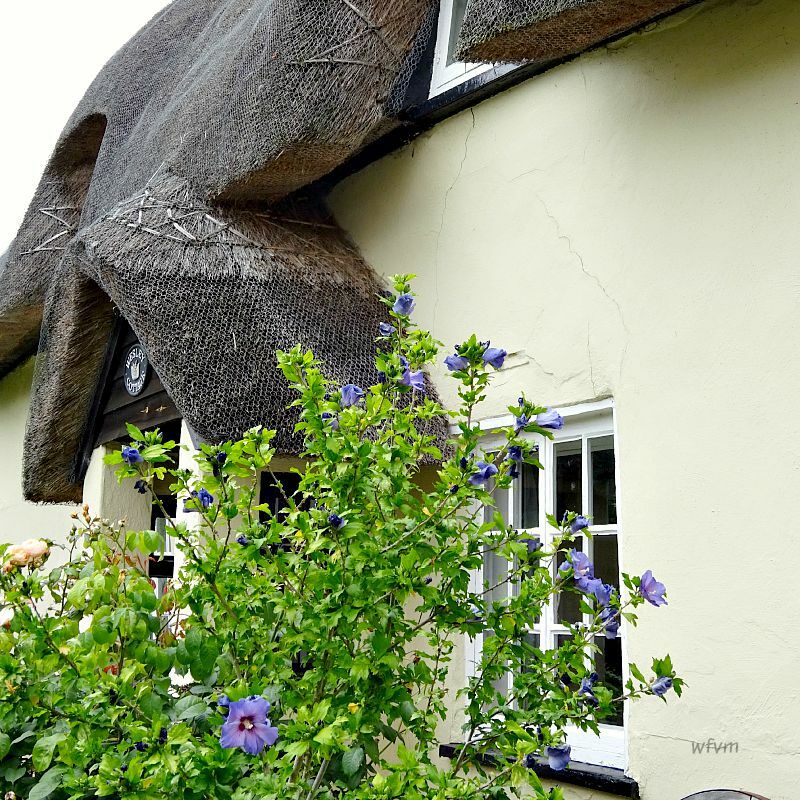 It is interesting the way that they are making a big comeback, and the craft of thatching is expanding rapidly. Hello Janey - I recall you did a post about your home in the Netherlands when it was re-thatched. Truly amazing Rosemary! And that first picture is pure beauty. 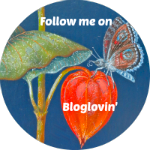 :) A lovely post and I'm sure this will be a popular one. Thank you very much Charlie - I wonder if this one will be able to knock the other from the top of the popular posts list? The first photo just happened to have all the necessary elements in place with the deep terracotta brickwork, the hollyhocks, and the rustic fence. I was certainly one of those people who helped elevate the standings of your thatched roof posting! I've always found the look charming, and as I study your latest photographs, I can imagine that the style is efficient and practical. I really like the scalloping along the top! Dear Mark - historically different thatching patterns have emerged over the centuries depending on which materials were available locally. For example water reeds are used in East Anglia with Norfolk reed being especially prized by thatchers. In northern England and Scotland heather was used, in fact I showed a house thatched with heather when we last visit to Scotland. The cottages I show here, in the south of England, will have been made from wheat straw. 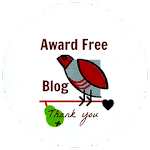 Great blog, suitable frames, culminating in processed extraordinary beautiful works so I congratulate you. Gorgeous, Rosemary. 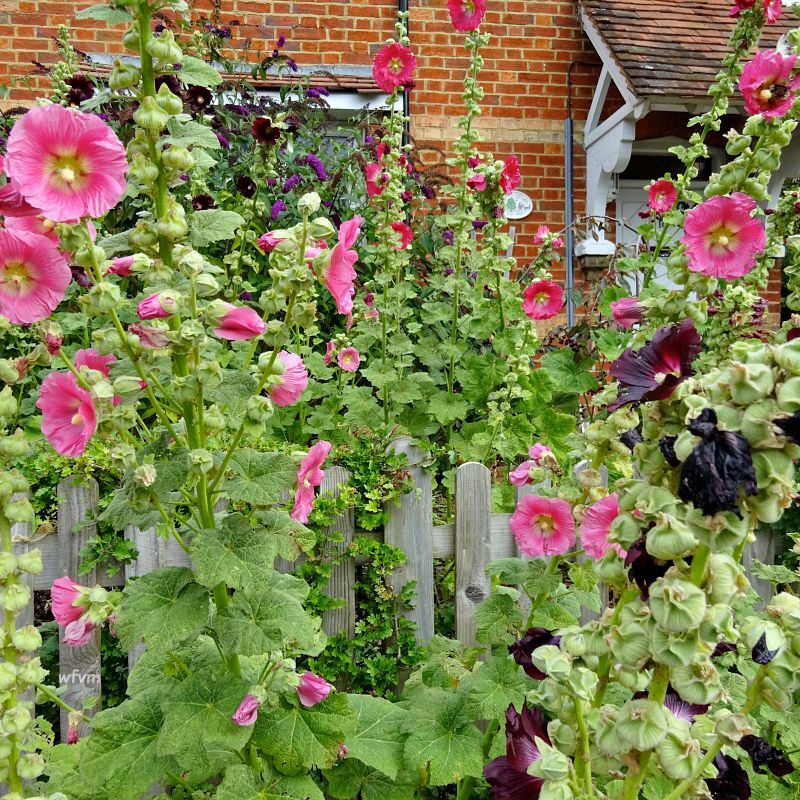 Thatched cottages have to be the world's prettiest houses, and pink hollyhocks always the perfect accompaniment. What a special village this one must be! Hello Rosemary, The British get so many things right--from ancient stonework to thatched cottages and small villages. A lot of the charm is from the way these past beauties are prized and cared for--although I guess that might not apply to stone ruins! PS Sorry about my erratic responses lately; I just today got back to Taiwan, and had limited internet access on my trip. Hello Jim - so pleased that you have arrived back safely in Taiwan - I was concerned for you as I was aware that a tornado was due to hit Taiwan earlier in August, but you obviously missed it. Guilty! 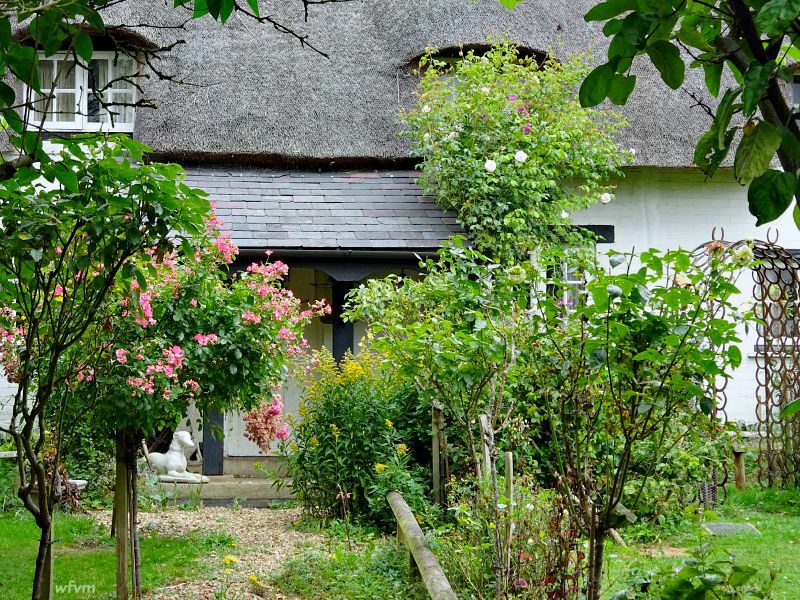 I may be responsible for at least 10 of the 2000 views of your thatched cottages post :) and if you accompany photos of these fairytale-like roofs with clusters of hollyhocks, as you have done today, I'll be back for many more. It was fortunate that the hollyhocks happen to be flowering at this particular moment because they are the quintessential accompaniment to thatched cottages - I think that it must all go back to Victorian paintings done by Helen Allingham of English cottages which invariably had roses round the door and hollyhocks marching along the fences. They just look so idyllic don't they, not sure I would want to live in one though. 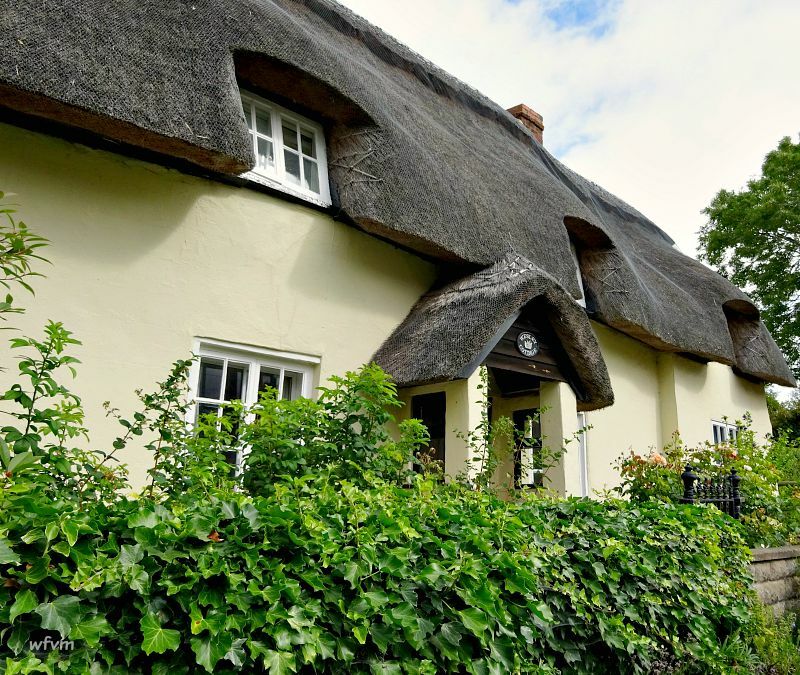 We have two thatched cottages in our village. One of them is being re-thatched at the moment - they have been at it for weeks, such a long job but wonderful to watch. The man of the family who live there suffers from asthma and when they started taking the old thatch off he suffered quite badly from the spores etc. and ended up in hospital. Beautiful photos. I have never wanted to live in one Elaine, but as I get older I think that I would quite like to experience living in an old thatched cottage. Mind you it would have to be well restored and filled with the latest mod cons, but still retain its character of course. I have no words to say how I love your photos. The houses are wonderful, and the roof.. I cannot imagine them (never seen in natur). Your photos are so magnificent. Thank you so much Orvokki - you have made my day - thank you. 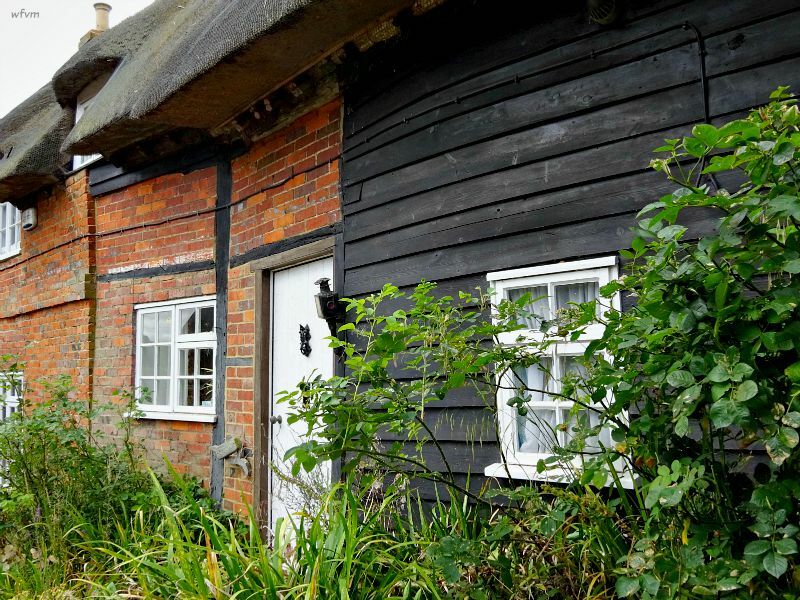 There has definitely been a renewed resurgence in these thatch cottages - they are of course, environmentally friendly using natural resources, keep the house very warm in winter, and cool in the summer, and they look attractive too. 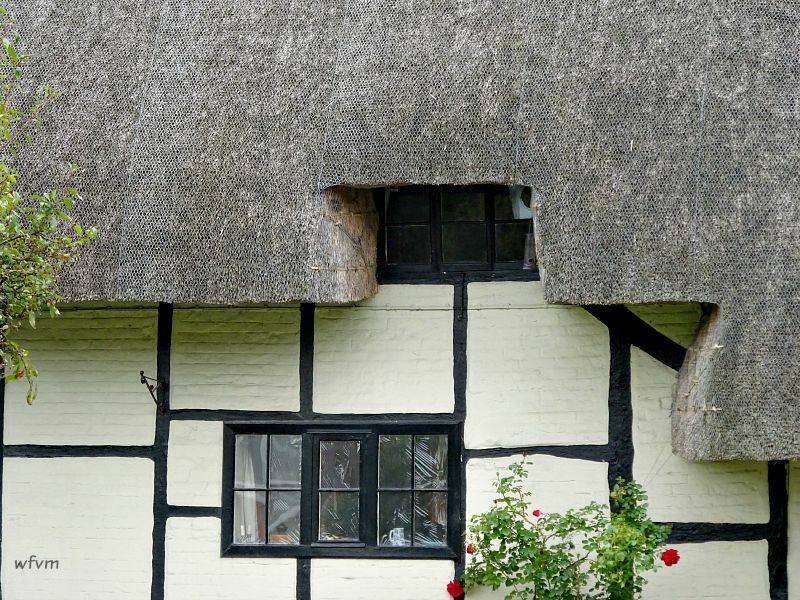 I love seeing roofs being thatched on TV, and I think they must be good for wildlife too-tiny spiders and bugs. We spoke to and watched some thatchers at work earlier in the year when we were in Devon. Fantastic! Love the cottage style....and the Front Doors are so cool! Thanks Linda - I shall be interested to find out if this one knocks the other post off the top spot. What beautiful flowers too! Lovely photo's - every one of them a joy to look at. There is a great revival in these cottages Madelief - ones that had been neglected or had the thatched removed are being redone. 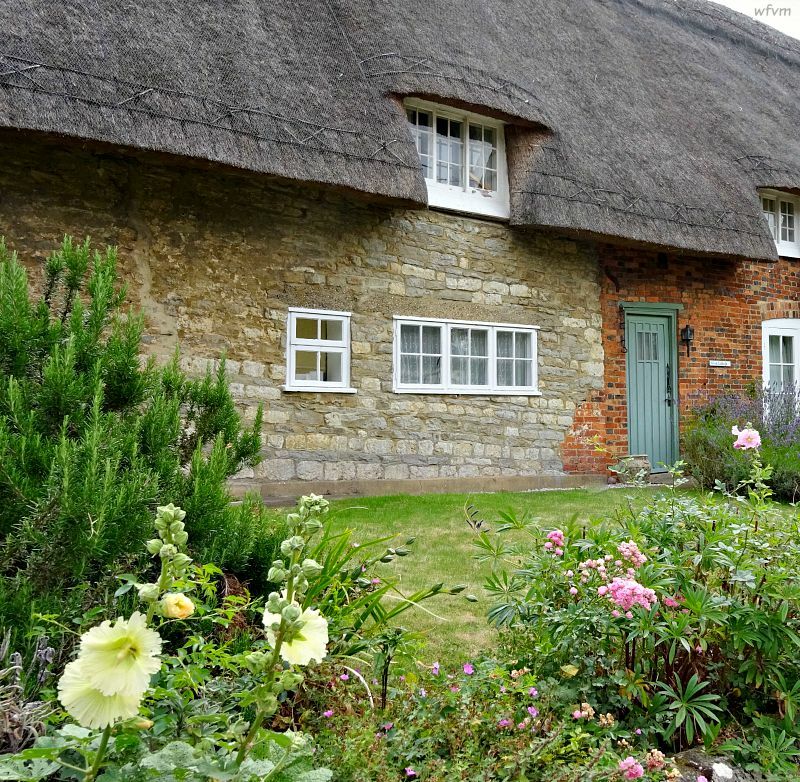 Lovely series of thatched country cottage. Each one is unique and attractive but my favorite is the thatched stone cottage. I managed to capture all of these images in about 15 minutes as we were passing through this village on our way to visit a NT property. So beautiful! ❤ I really love thatched cottages. They are rare around here. Glad you enjoyed seeing them Marian - there is definitely a resurgence of thatched cottages here, people really want to live in them again - also they are environmentally friendly using natural resources. This post has nearly caught up with the other one - fingers crossed it will knock it off the top spot soon. 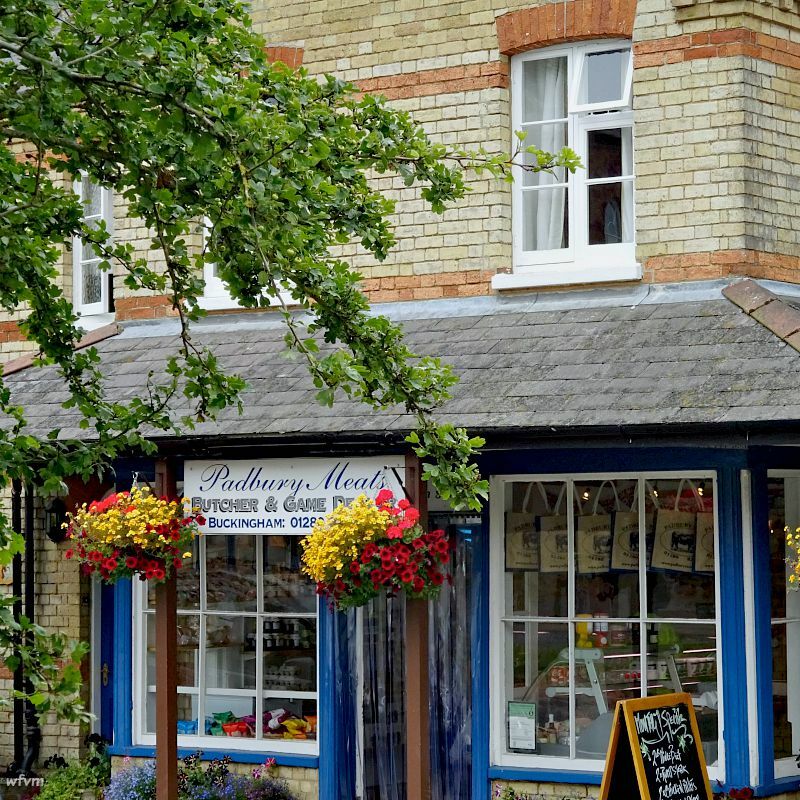 I am sure that you have noticed the name of the village on the Butchers sign, if you do visit you will be very near to (NT) Claydon House and (NT) Waddesden Manor too.